Don’t know about you guys, but sometimes I feel as if I am married to my jeans. 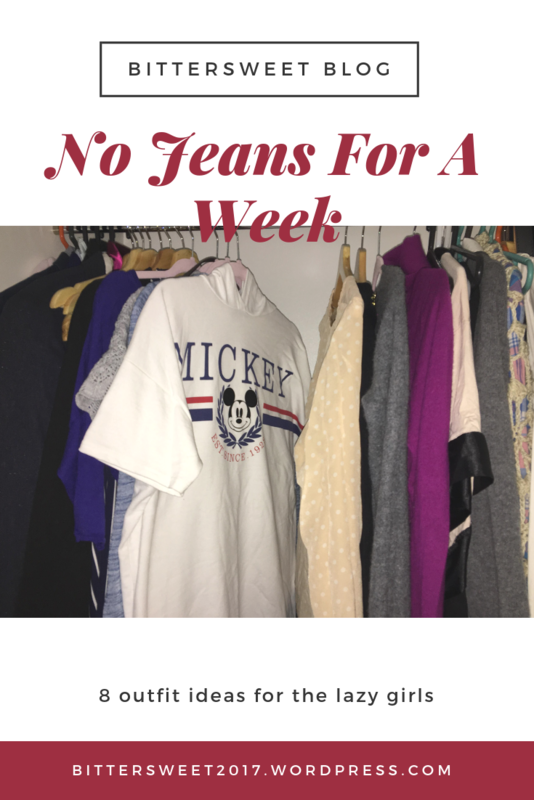 Every morning I would just open my closet, pick a pair of jeans, add a sweater and off I go. Even if I am a big fan of the street style, especially during the winter, I still think there is a way around the traditional uniform that I seem to embrace. For the cooler days, I like to choose one of my favorite materials, cashmere. I have a few of those in my closet and, obviously, I wear them with jeans, but the leather black pants are also a very good option. I usually like to add the biker boots and the cross body leather bag, alongside the classic Tiffany’s necklace and bracelet. One of the casual looks that I love is made from the long socks that are visible even with the boots on. For this outfit, I usually go for a very simple black sweater and a pink bag. I don’t add any other accessories since I think the bag and the socks are enough. I am not required to wear a certain dress code at the office but every time I know I have important meetings or I need to keep a speech I like to dress up a little bit. I love the wool sweater and how it looks with the long boots. I had this pair from River Island for over 5 years and I am still in love with them. For accessories, I usually choose an elegant leather bag and a slim belt.